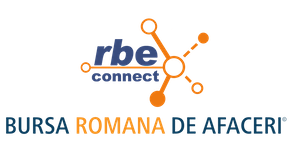 The Romanian Business Exchange can connect you with Business People & Companies as well as to provide you with quality business opportunities in ROMANIA! Doing Business in Romania is something you should consider if you are looking for interesting Investment and Business Opportunities in the fastest growing economy in the European Union. We can help you find Investment projects & Business Opportunities, Businesses for sale, Real Estate Projects and Income Generating Assets for sale, Business & Networking Events, Fairs and Exhibitions in Romania. We can help you to do business & invest in Romania and in our region. We are specialised in promoting business requests from foreign companies interested to entering and doing business in Romania, as well as present investment, businesses for sale and business opportunities from Romania. We make the connection between interested business parties. We rely on a strong expertise and a nationally business network of people and information. We are ready to support you to expand the business and register your company in Romania. 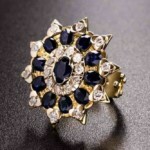 Market research and feasibility studies are part of our key business services. Get informed of the existing Romanian market business and investment opportunities. Evaluate, Test and Implement your business model with us. Increase your international presence, by entering the Romanian market through a local partner or making a green field investment. You can also doing business in Romania by acquiring an existing company for sale, licensing – franchise, joint – venture or any other form of business partnership with Romanian companies. Search for investment and business opportunities in Romania as well as for Romanian companies. Attend to our quality business networking events. Find business prospects in accordance with your company’s acquisition strategy. Buy Romanian companies using the professional business services of our mergers & acquisitions department. Sell your company with us. Our m&a services can help you reach your interest. The Romanian Business Exchange have developed in the recent years, the first and most comprehensive international digital business matchmaking platform in Romania, where business people, investors and decision makers from all over the world can find new Romanian business partners & companies, investment and business opportunities in Romania for their company’s development and growth, as well as businesses for sale and real estate investment deals in Romania. In the 21’st century every one is a diplomat, or they are outside the debate. Participating to our Business Events & Networking sessions, you can expand your networking with quality business professional connections in Romania. Business paradigms are changing rapidly, being sensitively influenced by geo-political, technological and economical factors that are not related to the national context only. These changes can generate both threats and opportunities for firms. The international perspective is increasingly important for any organization. Companies need to collaborate with governments and diplomats, NGOs and other local and international economic influential groups to maintain and develop their market place and solve problems whose solving is no longer only in their power. In order to operate sustainably and protect their interests in the markets, companies need to develop internal competencies that enable them to create, cultivate and manage high-level relationships with interest groups, governmental, non-governmental and private factors that are influential and relevant to the company’s activity. This requires a way of being. Diplomacy360© Program can provide visionary businessmen with kind of tools and methods that they need to succeed in the 21st Century. Diplomat-businessman relationship is mutually beneficial. Business Diplomacy Program is an exceptional international platform where diplomats, business people and other international experts meet to discuss the ways in which business leaders interested in becoming more competitive, can utilise methods and techniques from diplomacy to anticipate threats and exploit opportunities arising from geopolitical changes, avoid conflicts, and make strategic alliances to protect their interests, address the issues and develop international businesses. We organize complex workshops and trainings, for those who want to become professionals in Business Brokerage in Romania. Training sessions are organised by us in partnership with ANBAR – The National Association of Romanian Business Brokers. Our training courses are recommended for: Consultants and professionals in M & A (mergers and acquisitions), private equity and corporate finance, real estate brokers, agents, investment, stock brokerage and insurance consultants, Lawyers, assessors, auditors, accountants, experts from the Chambers of Commerce and Industry, business associations, Investors, business people and all those interested in new career opportunities and personal development. 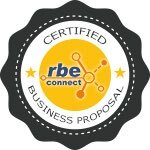 In order to support our business partners and for those who want to open new companies in Romania or simply become part of RBE Connect business community, we offer a series of very helpful business tutorials.